Several months after Debra DeCourcy relocated to Indianapolis from Cincinnati, Indiana Governor Mike Pence signed the Religious Freedom Restoration Act (RFRA), essentially paving the way for business owners to legally refuse services to members of the LGBT community. This set in motion a reputational crisis for not only the state of Indiana, but also the businesses based there. Many locals saw the bill as a "black eye" on the state, which is renowned for its Hoosier hospitality, says DeCourcy, VP of corporate communications for Angie’s List. 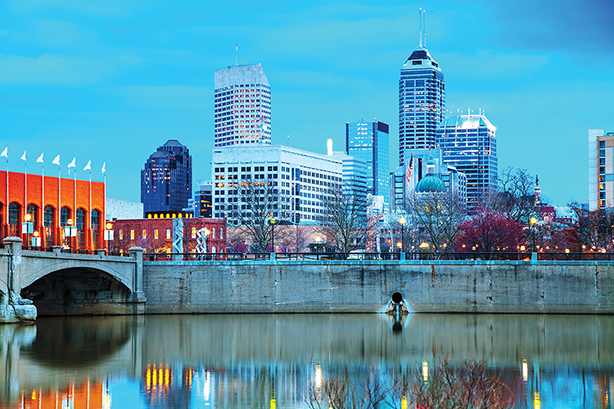 In response, the Indianapolis business community – including Anthem, Eli Lilly, Dow AgroSciences, Emmis Communications, Indiana University Health, and Roche Diagnostics – lobbied against the legislation with a letter to the local government. Other companies, such as Salesforce, started relocating employees out of Indiana. Local PR firm Borshoff protested with a petition against the act. Angie’s List also swiftly revolted by halting plans to expand its headquarters in the state’s capital – a move that would have added hundreds of jobs and generated about $40 million in economic activity. DeCourcy says that plan has been put on the backburner for now, but admits the company still needs to expand with a view of corralling all employees onto a single campus. "We recruit a strong, diverse workforce from all over the country, so the idea that some people would not feel welcomed was a very serious issue for the company," she says. "It also would have made it harder for us to recruit." Employees and members of the community applauded Angie’s List for taking a stand on the issue. "People here are extremely proud of where they live and Indiana’s inclusive nature. This went against that," says DeCourcy of the law, which has since been amended. Although DeCourcy admits the RFRA debacle has made her job more challenging, it hasn’t stopped her from quickly adapting to her new location. The city’s reaction to the law is a testament to its inclusive nature, she explains. "People here are hospitable," says DeCourcy. "Anyone who relocates here would find an embracing community." Regardless of how extreme the PR challenges are on any given workday, Indianapolis’ suburbs, dotted with farms and cornfields, provide a relaxing background for DeCourcy as she drives home from Angie’s List headquarters. "It’s a nice balance as I head home from a day working at a tech company," she says.